Galerie Mor Charpentier – “Anarchive” by OSCAR MUNOZ. I had a very well-spoken young guide who eagerly explained the work of this very remarkable artist. Munoz is Columbian,and he lives and works in the town of Cali, a town plagued by insurrection, gang and dope wars. Life in Cali is cheap. In such a society, where people are confronted with this scale of violence, it tries to immunize itself by assimilating the events into common, more palatable images. It is these images that Munoz works with. By using non-archival materials for his work (therefore the title “anarchive”) his work becomes non-conventional. He uses the “unimportant” images of dead people, only reported in local television stations. His images are vague, almost unrecognizable, and marginalized through the way these works will disappear in time. Monuments of stone are erected for political heroes, but the images of the common people are designated to the shadows of the past. 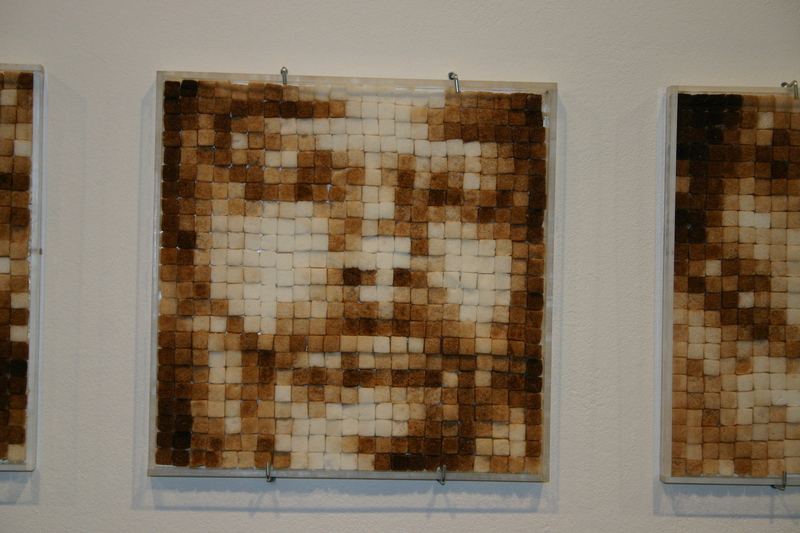 “Pixels”(1999) Is made up out of square blocks of sugar, each stained a different shade of brown with coffee. They are glued like mosaics onto the canvas, and can only be clearly seen when you half close your eyes. These pixellated portraits represent the photos that were given by morgue-attendants to bereaved family members, to soften the horror of seeing their loved ones so mutilated in death. In these portraits Munoz “softens” the bitter (coffee, columbia’s export) with sugar. In “Biographies” Munoz made rough silk screens of portraits. He then sifts coal-dust through the screen onto a filled wash-basin. 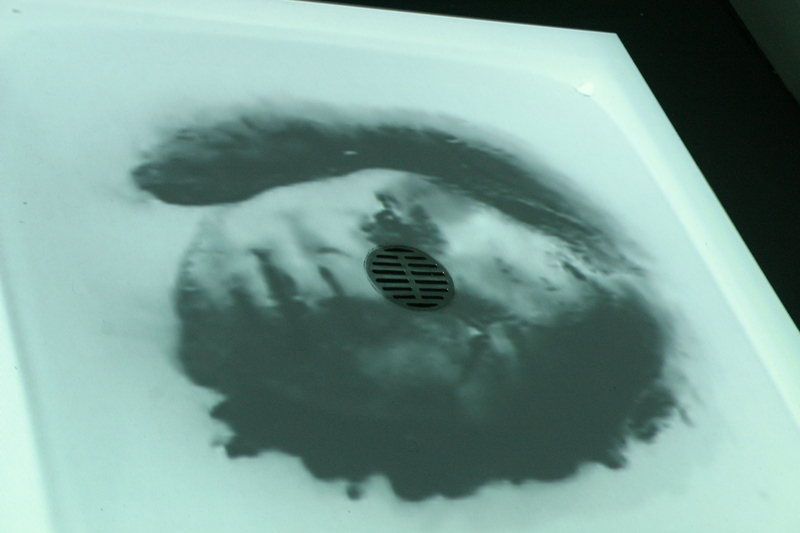 The oily coal-dust floats on top of the water until the water is let out of the basin slowly, when the image is slowly “mutilated” until it disappears into the drain. His images are forceful, and the thought-processes deep. These works, by stimulating the imagination rather than using descriptive images of violence, are far more moving and thought-provoking. Sjoe hierdie kunstenaar se werk klink goed. Sou dit wou sien. Is ‘pixels groot?